​Dr. Cherry is the company's Chief Scientific Officer. She has 35 years of experience in the cancer field, receiving training at Boston University, Cold Spring Harbor Laboratory, MIT and Harvard studying and performing research in chemical mutagenesis, oncogene transcriptional regulation, and lentiviral RNAi delivery systems for use in deciphering cancer pathways. Dr. Cherry also has experience in the biotech (ARIAD Pharmaceuticals) and pharmaceutical (Sanofi-Aventis) industries devising and implementing high throughput methods for target identification and drug development. In 2009 she founded a startup company in cancer therapeutics, Augusta Pharmaceuticals. Dr. Cherry’s extensive background in academics and industry puts her in a uniquely strong position to define a path from cancer targets to chemotherapeutic drug discovery. Currently at Harvard Medical School, Dr. Aktas earned his DVM degree from Istanbul University/Turkey and Ph.D. from University of Wisconsin-Madison. Dr. Aktas studied signal transduction pathways in meiotic progression in mammalian oocytes for his PH.D. As a postdoctoral fellow in Geoffrey Cooper’s laboratory at the Dana-Farbar Cancer Institute he delineated the molecular link between growth factor signaling and cell cycle machinery demonstrating that Cyclin D1 and p27Kip1 link Ras signaling to cell cycle machinery. Ras, activated in 15-20% of human cancers, interacts with translation initiation factors in a feed-forward loop to increase expression of oncogenic proteins at the level of translation. The realization that translation initiation is at the apex of many oncogenic pathways prompted him to test the hypothesis that translation initiation factors can be targeted for cancer therapy. ​In collaboration with other scientists, Dr. Aktas identified several small molecule translation initiation inhibitors using high throughput assays. These include diaryl-oxindoles, thiozolidones, and N,N’-diarylureas that inhibit eIF2.GTP.met-tRNAi ternary and thiozolidonehydrozone-based agents that inhibit eIF4F translation initiation complex. He also developed assays to accredit the in vivo mechanism of action and the specificity of these agents. In the course of these studies he identified heme regulated inhibitor kinase as a novel target for cancer therapy. 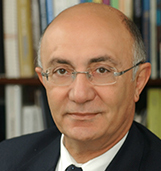 In addition to his research and teaching activities since 2006, Dr. Aktas has made strong contributions to the development of several scientific innovations in the area of targeting translation initiation for cancer prevention and therapy, including five patent applications as Co-Inventor, two as Lead Inventor, and one as the Sole Inventor. Of these applications, two have been granted by the US patent office. Dr. Frank has over 44 years experience in health care. Following two years on the faculty of SUNY Downstate Medical Center, he joined the nascent project group at Eastman Kodak Company which was tasked with developing clinical diagnostic tests in a coated, thin-film format. As a scientist and group leader there he focused on thin-film immunoassay and cellular assays, and was awarded 10 patents by the US PTO. Leaving R&D in 1981, he spent the next 14 years at Kodak is a series of more responsible positions in international marketing and strategic planning. They included: the launch of thin film products in Japan, Regional Business General Manager of the Asia, Africa and Australasia Business Unit, and management of the highly profitable, $80 MM, point-of-care diagnostics business. In that role he negotiated Kodak’s strategic alliance with IDEXX Laboratories Inc., which leveraged the human IVD product line into the veterinary market. After the sale of the Kodak Diagnostic business to Johnson & Johnson in late 1994, he became Executive Director Business Development at Ortho Clinical Diagnostics and consummated over 50 deals– acquisitions, divestitures, in- and out- licenses. Most notable was the strategic alliance with IMMUNICON that spring- boarded the Veridex subsidiary in cellular oncology. He also liaised with J&J businesses in medical devices (Cordis, Ethicon) and with the Consumer franchise. Founding MEDx Associates LLC, a medical device and diagnostics consultancy in 2007, he developed a diverse client base located in the US, Canada, Europe and Israel. For the past nine years he has lectured at the LAHAV-Tel Aviv University ‘bootstrap’ course for biomed-biotech entrepreneurs, and has lectured to the doctoral students at Tuoro School of Pharmacy. He holds a BS from the University of Pennsylvania and a Ph. D. in Biochemistry from Cornell University. During 1971 and 1972 he was an Instructor in Medicine at SUNY Downstate Medical Center. Dr. Frank is Executive Chairman of the Board of Nehora Photonics Ltd.
Dr. Huang is Professor and Chairman of the Department of Pathology at Duke University. He is also a member of Duke Cancer Institute. 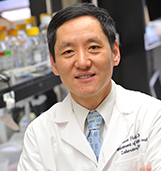 Dr. Huang is an internationally renowned surgical pathologist and prostate cancer researcher. His clinical expertise is in the pathologic diagnosis of genitourinary tumors. His research laboratory investigates the molecular mechanisms, biomarkers and novel therapies for advanced prostate cancer. His research laboratory is a leader in studying neuroendocrine differentiation of prostate cancer and molecular pathogenesis of prostatic small cell neuroendocrine carcinoma. 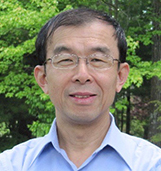 Dr. Huang has published over 180 research papers, review articles and book chapters. His research has been supported by the National Institutes of Health, Department of Defense Prostate Cancer Research Program, Prostate Cancer Foundation, and a Stand Up to Cancer Dream Team award. Dr. Huang earned his medical degree from Anhui Medical University and a Master’s degree in Pharmacology from the Institute of Radiation Medicine in Beijing. He earned his PhD from New York University School of Medicine. He was a Leukemia Society of America Postdoctoral Fellow at NYU and Yale University. He did residency training in pathology at NYU School of Medicine and a fellowship in Oncologic Surgical Pathology at Memorial Sloan-Kettering Cancer Center. He became an assistant professor at the University of Rochester in July 2000 and rose to the rank of full professor in 2007. Dr. Huang moved to UCLA in 2008 and came to Duke at the beginning of 2016. 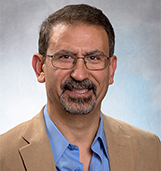 Dr. Kassis has expertise in: 1) Therapeutic principles and applications of radionuclides; 2) Dosimetric implications of inhomogeneous deposition of radiopharmaceuticals; 3) Design and syntheses of cancer‐targeting drugs/radiopharmaceuticals; 4) Cancer radioimaging and radiotherapeutics; 5) Translational research (imaging and therapy in vitro and in vivo [small tumor bearing animals]; clinical studies in patients with various solid tumors; genomic blood‐based assay development and assessment in patients with prostate cancer, colon cancer, and lung cancer); 6) Personalized medicine. He has supervised over 70 postdoctoral fellows and students and published over 220 peer‐reviewed articles and book chapters/reviews. Dr. Kassis is an inventor and developer of various proprietary technologies for imaging and treating solid tumors (99 US and world issued/pending patents), including 1) DNA‐binding pyrimidine nucleoside radiopharmaceuticals – 19 US and worldwide issued patents (licensed in 1995 to Boston Life Sciences, Inc., a startup company); 2) Enzyme‐Mediated Cancer Imaging and Therapy (EMCIT), a proprietary technology that aims to irreversibly entrap and concentrate radio labeled prodrugs within solid tumors – 5 US issued patents, 6 pending US/world patents (licensed in 2010 to Sabik Medical, Inc., a startup company); and 3) Novel blood assays for the noninvasive blood‐based detection of occults tumors and other disease – 4 issued patents and 48 pending US/world patents (licensed in 2011 to Cell MDx, Inc., a startup company). ​Dr. Klann is a patent attorney at Leason Ellis, specializing in biotechnology and pharmaceutical patent procurement and management of worldwide patent portfolios. Clients range from Fortune 500 companies to startups, as well as academic/research institutions located primarily in the U.S. and Japan. Technical areas of experience include: molecular genetics, biologics, immunotherapy, oncology, stem cells, antimicrobial agents, transgenic plants, recombinant insecticidal compounds, molecular neurobiology, and hematology reagents. In the stem cell field, Dr. Klann has experience with stem cell lines for cardiac treatments, as well as for drug development and safety testing, including patient derived induced pluripotent stem cell (iPSC’s) lines for disease modeling. In the oncology field, Dr. Klann has experience with inventions involving immune checkpoint blockade. Specifically, while at Schering Plough and Merck, Dr. Klann filed and managed the patent estate relating to Keytruda®, an antibody inhibitor of checkpoint PD1. Prior to joining the Intellectual Property field, Dr. Klann spent ten years as a microbiologist studying bacterial virulence factors. 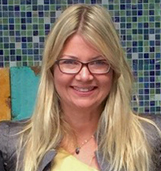 With her law firm, industry and academic experience, including a year working closely with senior management at a multinational pharmaceutical company in Japan, she provides clients with strategies for multiparty research collaborations and associated transactional issues to achieve their business goals. Dr. Klann's research is focused on the molecular mechanisms underlying activity-dependent, long-lasting changes in neuronal function, and whether these mechanisms play a role in complex behaviors, including cognition. He uses a number of experimental approaches to gain a greater understanding of the molecular mechanisms necessary for maintaining long-lasting changes in synaptic strength and memory. Detailed biochemical and sophisticated imaging experiments are employed to delineate the molecular signaling cascades that are activated and required for long-lasting synaptic plasticity in the hippocampus, amygdala, cortex, and striatum, and whether these signaling events are required for memory formation, social behaviors, and behavioral flexibility. Dr. Klann also conducts electrophysiological, biochemical, imaging, and behavioral studies with various knockout and transgenic mice to determine how precise genetic manipulations that either activate or abolish specific signaling cascades alter synaptic function and behavior. Finally, he studies how molecular signaling, synaptic plasticity, and behavior are altered in mouse models of developmental disability, autism, aging, and Alzheimer's disease. 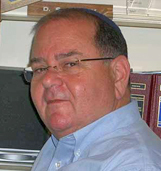 Dr. Nir received his PhD from Tel-Aviv University (Biotechnology; 1990) and Master in Management (1997; NJIT). He has 25 years of experience in the field of cell culture, cell-based assays, protein production and purification, and therapeutic development. Dr. Nir was formerly the Associate Principal Scientist at Schering-Plough Research Institute, where he led the development of several novel processes related to protein production. As the Co-Founder, President and CSO of SBH Sciences, Inc, he manages all of the research and development activities with a focus on the development and implementation of immunoassays and cell-based assays and efficient manufacturing by cell culture of recombinant cytokines and enzymes. Dr. Nir is a world leader in these fields with over 80 processes for recombinant proteins in mammalian and insect cell cultures for commercial use in the R&D market and over 290 bioassays which are currently available in SBH Sciences’ two state-of-the-art cell culture facilities. Currently at SBH Sciences, he is focused on the anti-cancer and anti-inflammation drug development including lead drug optimization to mitigate Glioblastoma and development of a therapy for liver fibrosis by specific targeting of Galectin-3. He is also the CO-Founder of Galectin Sciences, SBH Diagnostics, Woodland Biosciences, Karyopharm Therapeutics, Alma-BioTherapeutics and SKY Ventures International. Dr. Rajur established CreaGen BioSciences, Inc. as an early stage discovery research service provider and it has now evolved into a well-known collaborative research organization. Under his leadership, CreaGen collaborates with a number of multinational pharmaceutical and biotech companies. Dr Rajur holds a PhD degree in synthetic and organic chemistry and has enjoyed a distinguished career in the academic community and the pharmaceutical industry with a broad range of experience in medicinal chemistry and drug discovery. He has authored more than 25 papers in peer-reviewed journals and holds three US patents. Dr. Rajur's academic career includes appointments at the Southwestern Medical Center in Dallas, Boston College, Northeastern University, Massachusetts General Hospital and Harvard Medical School. In the industrial sector, he has held scientific and managerial positions at ArQule and Millipore Corporations. At ArQule, Dr. Rajur supervised collaborations with Bayer, Pfizer and Amersham Pharmacia Biosciences. Dr. Rajur also significantly contributed to ArQule's internal drug discovery programs, specifically the ion channel, kinase and GPCR programs. Products co-developed by Dr. Rajur have been used in drug discovery efforts at Clonetech Laboratories in Palo Alto, CA. Dr. Rajur's expertise is with small molecule drug discovery, specifically targeted towards cancer and anti-infective therapeutics and the development of prodrug pharmaceuticals. 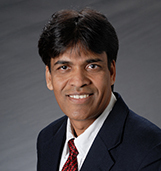 Dr. Rajur serves as the reviewer for the ACS Journal of Pharmaceutical Sciences and presently is Program Chair for the Medicinal Chemistry Division of the Northeastern Section of the American Chemical Society and co-chair for the Massachusetts Biotechnology Council CROCMO forum. working at Dr.Rigby's lab and Dr.Benjamine at Beth Israel, Harvard Medical School. Nahum Sonenberg received his Ph.D. at the Weizmann Institute of Science (Rehovot, Israel). He then joined the Roche Institute of Molecular Biology in Nutley, New Jersey with a Chaim Weizmann postdoctoral fellowship. He moved to McGill University, Montreal, Canada, in 1979, and is today a James McGill Professor in the Department of Biochemistry and the Rosalind and Morris Goodman Cancer Research Centre. Dr. Sonenberg’s primary research interests have been in the field of translational control in health and disease. With Aaron Shatkin he identified the mRNA 5’ cap-binding protein, eIF4E, in 1978. He and his colleagues have studied the factors that recruit ribosomes to the mRNA. He discovered the IRES mechanism of translation initiation in eukaryotes, and the regulation of cap-dependent translation by eIF4E-binding proteins. He also discovered that eIF4E is a proto-oncogene, whose protein levels are elevated in tumors. Subsequently, he showed that rapamycin (an anti-cancer drug) inhibits eIF4E activity. While generating eIF4E binding protein ‘knock-out’ mice, he found that the protein plays important roles in metabolism, learning and memory, and innate immunity. Most recently he discovered that eIF4E is implicated in autism. 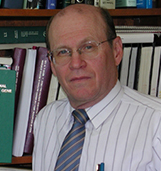 ​In 2002, Dr. Sonenberg was awarded the Robert L. Noble Prize from the National Cancer Institute of Canada. He is an International Research Scholar of the Howard Hughes Medical Institute and has been a fellow of the Royal Society of Canada since 1992. He was awarded the 2005 Killam Prize for Health Sciences. In 2006, he was elected to the American Academy of Arts and Sciences and The Royal Society of London, UK. He was awarded the 2007 Katharine Berkan Judd Award from Memorial Sloan-Kettering Cancer Center, the 2007 Roche Diagnostics Award and he was the recipient of the 2008 Gairdner International Award. In 2009, he was awarded the Canadian Institutes of Health Research Health Researcher of the Year Award in Biomedical and Clinical Research and in 2010 he was made an Officer of the Order of Canada. In 2011, Dr. Sonenberg has been awarded The Centenary Award from the Biochemical Society (UK) and the Lewis S. Rosenstiel Award for Distinguished Work in Basic Medical Science from Brandeis University. This year he was elected as a fellow of the American Association for the Advancement of Science. 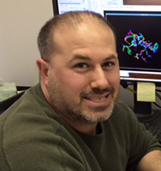 Adam Stein is the Head of Structural Biology at Cayman Chemical Co. (Ann Arbor, MI), Dr. Stein and his team provide structural and biophysical support on all of Cayman’s external and internal drug discovery programs. Currently, his focus is on developing small molecule inhibitors for therapeutically relevant targets including GPCRs using fragment screening, biophysical assays, and x-ray crystallography. Dr. Stein joined Cayman Chemical in late 2012. Prior to that, he spent many years in biotech including two years at XTAL Biostructures (Boston, MA) where he was Director of Structural Biology as well as three years at deCODE Genetics (Woodridge, IL) as a group leader, where he led the structural team that developed MK2 and PDE4 inhibitors. Dr. Stein held an Arthritis Foundation and an Arthur Brown-Coxe Post-doctoral Fellowship while at Yale University and received both his PhD (physical chemistry) and B.S. (chemistry) from Michigan State University (East Lansing, MI). 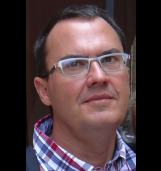 Dr. Vagner is a Research Director at Inserm (The French Institute of Health and Medical Research) and a Principal Investigator at the Curie institute in Orsay, France. He also works at the Gustave Roussy Institute, Villejuif, France, co-leading a group with Dr. Caroline Robert. He received a PhD at the University of Toulouse (France). He then joined the European Molecular Biology Laboratory (EMBL, Heidelberg, Germany) with an EMBO post-doctoral fellowship. 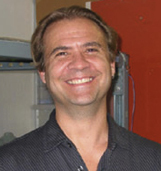 Dr. Vagner’expertise is in RNA biology and cancer. His most recent projects include the targeting of the translation machineries in cancer. Specifically, a recent publication published in Nature describes the role of the eIF4F translation initiation complex in the resistance to anti-cancer targeted therapies. 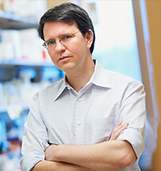 Dr. Wendel is a Principle Investigator at Memorial Sloan-Kettering Cancer Center. Before coming to the US he trained in clinical hemato-oncology in Germany. Dr. Wendel had excellent research training with Scott Lowe in Cold Spring Harbor and joined the faculty of MKSCC in 2007. He is a leading researcher in the area of hematopoietic cancers and his focus is on the mechanisms of translational control in leukemia and lymphoma. Dr. Wendel's research is published in top tier journals and his work has led to new strategies to treat cancer. 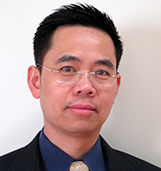 Dr. Xiang is currently working as an independent scientific consultant. 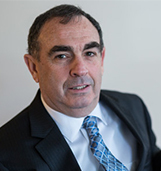 He has over 27 years’ experiences in small molecule drug discovery experiences in large pharma and small biotechs. Most recently he was the CSO at Sanhome Pharma, (2014 – 2015), prior to that he was a Sr. Director of Medicinal Chemistry and Distinguished Scientific Fellow at Genzyme (2005 – 2012). Early in his career, he had worked at Merck, and was one of the key contributors for the identification of anti-asthma drug “Singulair”. Afterwards, he had worked for several biotech companies at Boston area, including Genetic Institutes Inc, Scriptgen and Genom Therapeutics, where he served as individual contributor and manager. He earned his Ph.D. at Swiss Federal Institute of technology (ETH) and completed his post-doc training at Harvard University. In his career pursuing small molecule drug discovery and development, Dr. Xiang has made significant contributions in many projects in the drug R&D, and gained wide range of experiences. In addition of his contribution to bring the anti-asthma drug “Singulair” into the clinic at Merck, his work at different companies had helped to bring several drug candidates into the clinic in the immune mediated disease and cancer. He is co-inventor of 42 patents and co-author of 26 scientific publications in peer reviewed literatures. Dr. Briggs earned his Ph.D. at the University of California, Berkeley in the laboratory of Prof. Robert Tjian and was a EMBO Fellow in the lab of Dr. Ernst Hafen at Universitat Zurich. He was a Postdoctoral Fellow in the laboratory of Drs. Michael Brown and Joseph Goldstein at the University of Texas Southwestern Medical Center. ​Dr. Briggs’ research spans biochemical and genetic aspects of drug discovery at the research level for the past 25 years across cardiovascular and metabolic diseases to arthritis and inflammation and cancer. He has led research teams in the US and China to develop over 100 primary human tumor models of hepatocellular carcinoma, pancreatic cancer and non-small cell lung cancer. These models have elucidated aspects of drug discovery including PK/PD biomarkers of efficacy, exposure-related drug failure modeling and approaches to effective drug combination therapies. 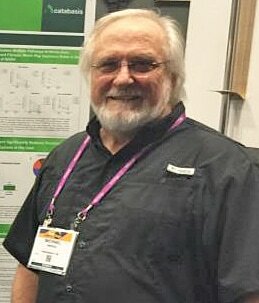 He has established methods and precedent for generating on-drug failure of therapy that he believes may help model and mimic the clinical failure of therapy and provide the cancer research community with novel tools for drug screening and modeling of cancer recurrence and resistance to therapy. 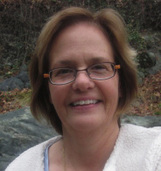 Dr. Post is a principal of The Veterinary Cancer Center in Norwalk, Connecticut, founder of the Animal Cancer Foundation, board member of Saving Species, and trustee of the Collaboration for Environmental Evidence, is a board-certified veterinary oncologist. He has more than 25 years of clinical experience and has participated in clinical oncology research on the national and international levels. He champions the field of comparative oncology every chance he gets. He supports the belief that the knowledge gained through comparative oncology can be used to more effectively diagnose and treat many cancers, not only in animals, but humans as well. He is a co-founder of Innogenics, a specialty reference laboratory that supports veterinary oncologists, veterinary clinicians and pet owners dealing with canine cancer. Based on the most advanced genomic tests used for people with cancer, Innogenics is the first laboratory to offer an advanced genomic test for canine cancer. Innogenics is currently developing genomic tests for feline cancer. ​Cohava Gelber, Ph.D., MBA Cohava Gelber, PhD, MBA, is an executive with over 25 years of experience in discovery and development of immune therapeutics and diagnostics for cancer, autoimmune disease, allergies and infectious diseases. Dr. Gelber held various executive positions in academia (Duke University) and biopharmaceutical companies (ImmuLogic Pharmaceutical Corporation, Molecular Discoveries and MannKind Corporation). Throughout her accomplished career, Dr. Gelber has pioneered and built various science companies, departments and proprietary platform technologies. Dr. Gelber has founded Caerus Discovery with support from Biowa/ Kyowa Hakko Kirin and ImmunoCellular Therapeutics, Inc, Serpin Pharma and Orpheus, Inc.with investment made by private offices and federal grants. Dr. Gelber also served as the Chief Scientific & Technology Officer of ATCC (2005-2010), VP of R&D for MannKind Corp (MNKD)- a public company developing therapeutics for diabetes, cancer and autoimmune diseases (2001-2005). She was responsible for non clinical development and clinical immune safety of drugs from pre IND through phase III clinical trials. 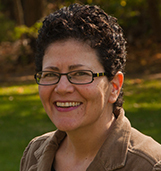 Dr. Gelber received her Ph.D. from the Weizmann Institute, her MBA degree from Cornell University and post doctorate training at Stanford University. 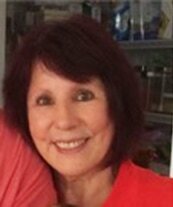 Dr. Gelber has published numerous scientific manuscripts and textbook chapters and she is the inventor of 11 granted patents and 57 patent applications. 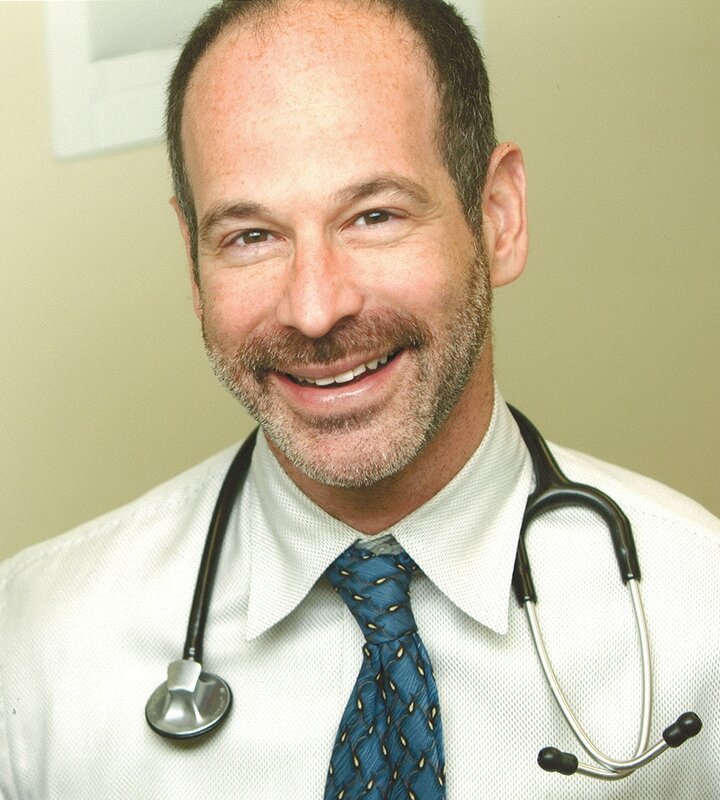 Dr. Gelber is board member of Etubics, Serpin Pharma, Caerus Discovery and and serves on the Scientific Advisory Board of George Mason University, Libraries, NeuroQuest, MicroVax and Immuno Cellular Therapeutics. Dr. Gelber is also an investor in numerous private companies including ContraFect, Serpin Pharma, Noblegen and Etubics (now part of NantCell).